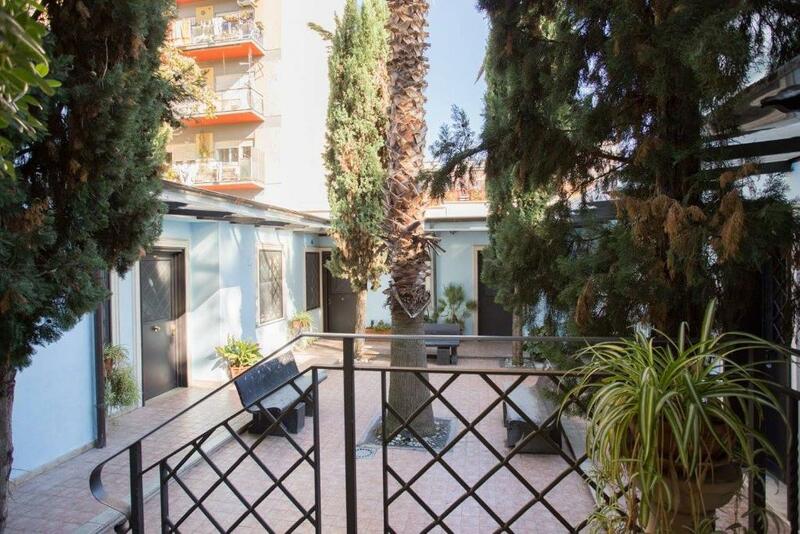 This is a great place to stay if you want to see a fun neighbourhood outside the center with great restaurants, yet easy access to center via the new metro line C stop, just a few minutes away. I lived in this neighbourhood years ago, so I know it well. For someone visiting Rome for the first time, it is easy to navigate. I can't recommend enough Necci, the bar/restaurant on the corner near the residence. And there are grocery stores and cute bars/wine bars in area. Also, lots of good night life with dis, live bands, etc, just minutes away. Although a lively night life in area, I heard no noise and I had a room that faced the street. But warning: be prepared to NOT have someone at the front desk always available to help you. They are on call, but this is a place for people who don't really need help from hotel staff. Kitchen was small but equipped with basics. Bathroom was clean and good water, hot water pressure. The bed was comfortable, wifi and air conditions worked well. Excellent location. Near to center and fast reachable by underground. Nice and convenient restaurant nearby. Very friendly and helpful personal. 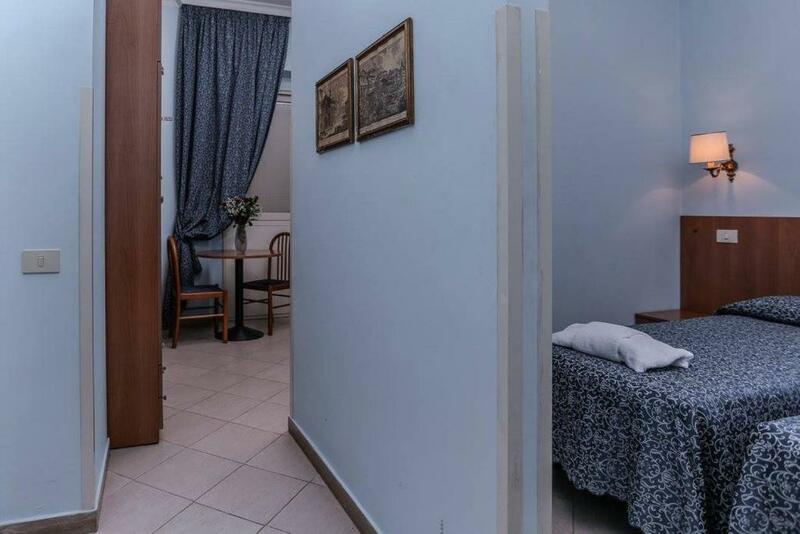 Poorly furnished for self catering and more than 2 people. 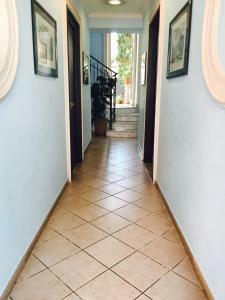 Cordialità dello staff, ottima posizione ,stanze confortevoli e pulite. Appartamento di piccole dimensioni ma c'è tutto il necessario. Posizione eccezionale con stazione metropolitana a pochi minuti. Staff gentilissimo. Schnelles Last Minute buchen und Personal sehr freundlich. 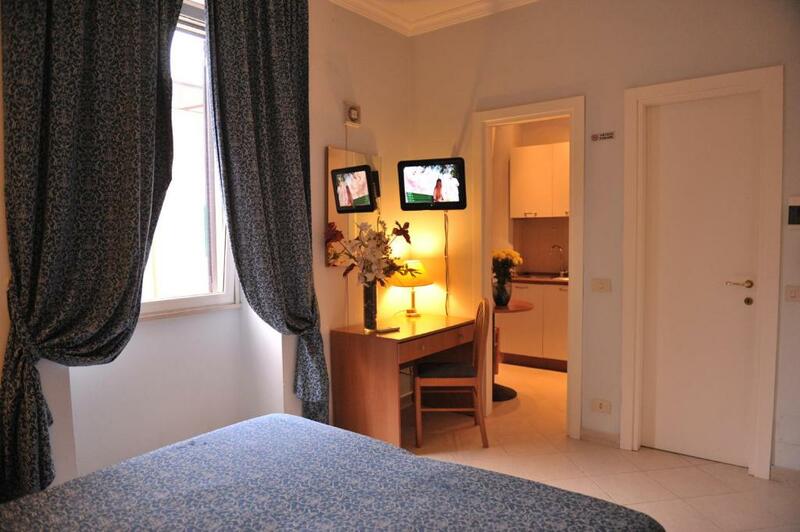 Residence Lodi offers air-conditioned studios with a kitchenette and satellite TV in Rome’s east suburbs. 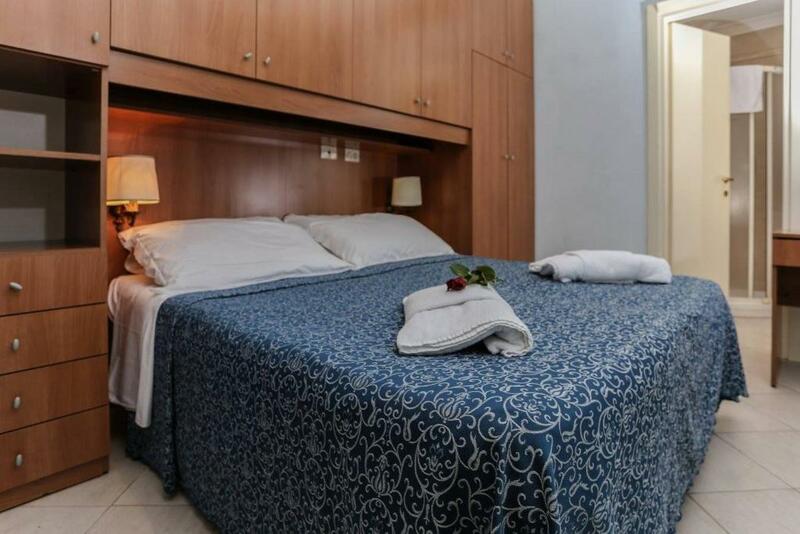 Located in the lively Pigneto area, it is surrounded by restaurants and wine bars. Studios at Lodi Residence are decorated with light-wood furniture and warm colors. Each one comes with a private bathroom complete with a hairdryer and toiletries. Coffee and croissants are available for breakfast at the café next door. 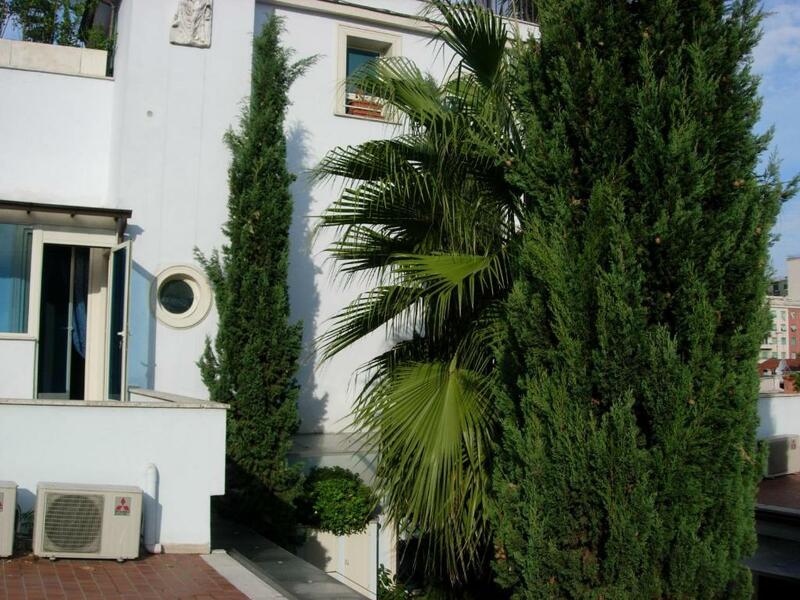 You have excellent tram links to any trams to Rome Termini Train Station. Prenestino is a great choice for travelers interested in monuments, old-town exploration and Roman Ruins. When would you like to stay at Residence Lodi? Air-conditioned studio with a kitchenette and satellite TV. Decorated with light-wood furniture and warm colors. Comes with a private bathroom complete with a hairdryer and toiletries. Air-conditioned studio with a kitchenette and satellite TV. Comes with a private bathroom complete with a hairdryer and toiletries. 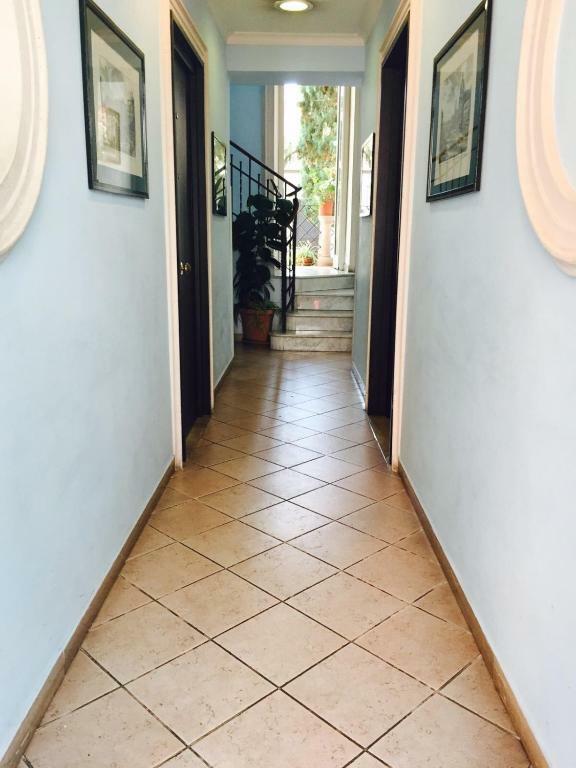 This studio is located at Via Brancaleone, 82. Please note that check in is at Residence Lodi in Via Fanfulla da Lodi, 45/47. House Rules Residence Lodi takes special requests – add in the next step! Residence Lodi accepts these cards and reserves the right to temporarily hold an amount prior to arrival. Please note that rooms are cleaned once a week. Towels are changed 2 times a week. One of the most picturesque neighborhoods in Rome! We booked this "apartment" because we wanted to have a kitchen in order to cook and save a little on eating outside, and bigger space for comfort. Well, we didn't get that. The room is small, table, two chairs and a bed. The kitchen was really small, without equipment (only couple of plates, one cereal bowl, one little sppon, and a couple of glasses. When we wanted to make dinner, the stove (electric panel) did not work! So we couldn't cook. We throw away what we wanted to make. And just ate salad (from a pot, because there was no big salad bowl. We told the lady, and she came to check, and install new one, but only 24 hours later, meaning we needed to eat outside (so we didn't save any money...). Furniture is old, and one of two chairs was in bad shape, as I almost fell down, due to it's looseness. I don't think they check the status of the room frequently. The bed is far from comfortable, and there are two mattresses put together, and not one big. At night it is very noisy from outside (right at the corner of restaurants and pubs) and also from inside. There was constant noise of moving furniture and talking, and if you go to bathroom at night, and flush the toilet, it is really loud. So basically, if you are looking for a place to stay, cook and sleep well, I would search for another place. Kitchenware was very poor. I haven`t cooked, but if I should, it would be a problem. More cooking utensils - cutlery, plates, bowls etc. Extra chair.